The internet has changed everything from how we communicate to how we learn -- and especially, how we shop. As a buyer, the internet has made life much easier, however, salespeople don’t always feel the same way. That’s because all of the options and information is already available to consumers which leads to more competition, more noise, and ultimately more control in the buyer’s hands. Traditionally speaking, salespeople had most of the power in a sales meeting as they had all of the information prospects needed, but now all of that information, and power, is easily accessible online. Buyers no longer need to go directly through a salesperson to make a purchase. This new era of empowered buyers has forced a change within the laggard sales world. Enter Inbound Sales – a sales approach that better aligns with the shopping preferences and behaviors of modern buyers. Find out how to take out the guesswork when building your next inbound marketing sales process. The Inbound Sales Methodology aligns with the Inbound Marketing Methodology, in a similar path. Identify: This is part of the awareness stage in the buyer’s journey where you identify potential customers and convert them from strangers to leads. Connect: During this phase, you take actions to qualify leads and move through the awareness stage to the consideration stage. Explore: As your qualified leads start to engage with your content in the consideration stage, you can start to explore their needs deeper and identify sales opportunities. Advise: Sale opportunities allow you to advise leads on the best solution while they are in the decision phase of the buyer’s journey, which in turn, hopefully results in converting them to a customer. While every sales team is unique and you will want to adapt the strategies and methodologies to fit your own company, there are five strategies I feel are most critical for Inbound Sales success. The challenge here is that salespeople often get caught up in focusing on Buyer Personas, or the fictional representation of an ideal customer, without being clear on their Ideal Buyer Profile. While they sound similar, they are quite different. Your Ideal Buyer Profile is the type of company you’re targeting, while the Buyer Persona is the individual person within that company you’re targeting. In other words, the Ideal Buyer Profile is your market and the Buyer Personas are your prospects. Buyer Personas are important, but focusing solely on them can lead to missed sales opportunities or wasted time. While a prospect, as defined by your Buyer Persona document, aligns from a job role and cultural perspective, their organization may not be a fit from an industry or company size perspective. Maintaining a solid understanding of your Ideal Buyer Profile allows you to spot opportunities from a broad, company perspective, determine fit for your services, and then narrow your focus to the individuals within that company. The goal of Inbound Sales is to create a sales process that accommodates your buyer’s natural purchasing process. It’s completely buyer-focused, as opposed to seller-focused. With that in mind, you have to understand the journey your customers go through from the time they first discover your company to the point they decide to become a customer. This is called the Buyer’s Journey and must be defined prior to developing your own internal sales process. Taking this approach leads to the development of a sales process that is aligned contextually with the buyer through the awareness, consideration, and decision stages of their buying process and results in the proper conversations, materials, and information being delivered at the exact right moment. With ever-advancing technology, the role of a salesperson is constantly evolving. Being “helpful” is no longer as valuable as it once was. Technology is replacing the help that was typically needed of a salesperson to learn about product, get access to the right person, or read a case study. Because helpfulness is becoming less and less of a differentiator in the sales process, salespeople must take on the role of an advisor helping them navigate what can sometimes be a complex buying process. Guide prospects on how your products or solutions can specifically help them make more money, save money or avoid risk. Salespeople that are able to become Advisors have the ability build even more valuable relationships with your prospects because they trust that your interests are truly in the success of their business. Inbound Salespeople believe that an opportunity to directly connect with a prospect, should not always be an opportunity to sell. From the sales side, the goal of connecting with a prospect is generate one small win: open a two-way dialogue that uncovers enough information to convert a lead to a qualified lead. To do that, you have to connect with a lead based on the context of their actions as it relates to their buyer journey. For example, during the awareness stage, you might share a useful blog post or free eBook with the prospect to help them frame the problem they’re having and identify possible solutions. The type of content you decide to share will depend on the company they work for and their role in the company. If that prospect is already in the consideration stage, however, you could offer a free consultation or webinar, which again aligns with their specific needs at that specific time. Each of these connections helps frame your value, while supporting their journey through the buying process. Whenever a prospect shows interest, traditional salespeople pounce on the opportunity to pitch them, but that approach is simply a “numbers game” and is quickly losing effectiveness with modern buyers. Inbound salespeople see buyer interest as an opportunity to teach, even if the process will take more time with each prospect. Before considering any type of pitch or solution presentation, it’s imperative that the first reaction and step is to explore the challenges your prospect faces, the goals they need to achieve, how they plan to get there, and when it needs to be achieved by. The natural progression of this approach guides prospects to come to their own conclusions about whether or not your solution is the right solution, and avoids the “hard sell” typically necessary by legacy salespeople and processes. 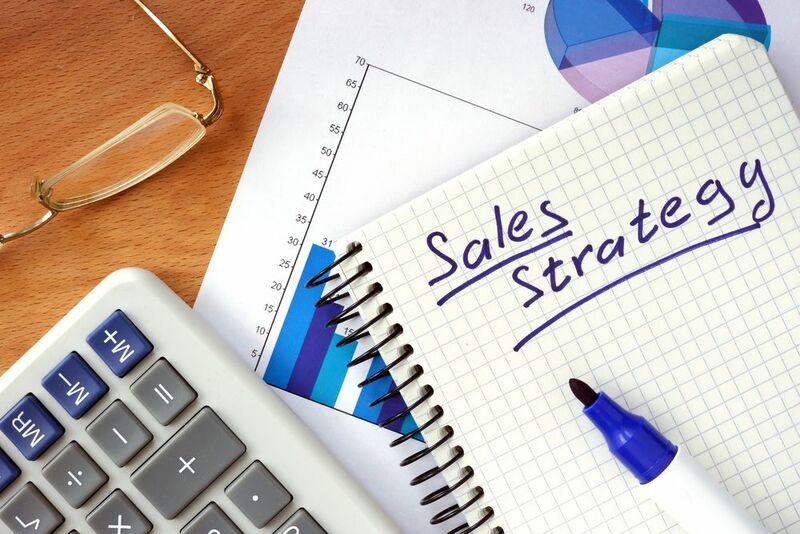 Inbound Sales is an evolution of the traditional sales process that matches the way modern buyers buy, accounting for the shift of power, from the seller to the buyer. You can leverage these five elements and adapt them to any business, B2C or B2B, and start selling to your prospects in a way that’s most useful to them.